As with a lot of the restaurant industry, Nando’s only pay the national minimum wage. That means that the Nando's pay scale offers £3.79 an hour to those under 18 and £6.50 per hour for adults working as waiters or waitresses. Statistics show that the upper wage for waiters and waitresses is a pitiful £6.87 an hour so there’s really no money in the job. There are a host of different jobs with Nando’s though so there’s plenty of opportunity to progress and build a career with the fast food chain. You could work as a griller cooking the food behind the scenes, as a host who shows people to their seats, as a cashier with the responsibility of taking the money, or as a Co-ordinator who makes sure that each customer gets what they ordered. Of course the management of each Nando’s store get a lot more cash but they’ll also put in more hours. The wages for a restaurant manager with the chain are a bit of a guarded secret. There are three levels of management at each store. A store manager called the “Patraos” who is supported by a 1st Assistant Manager and a 2nd Assistant Manager. Unsurprisingly most Patraos will have been 1st or 2nd Assistant Managers at some point in their career so there will be plenty of guidance available if you choose to make a career out of joining Nando’s. 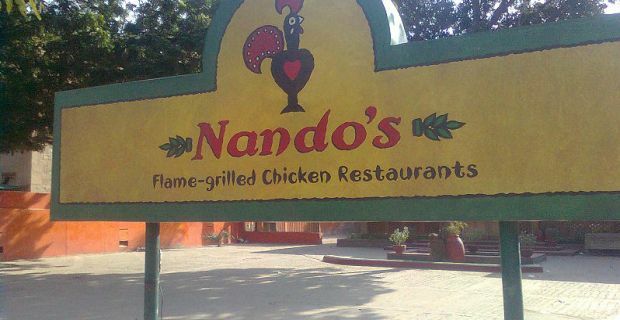 Nando’s pay doesn’t compare well with other similar fast food chains. You’ll earn at least £4.20 an hour if you work for KFC. At McDonald’s the average wage is £4.42 an hour so Nando’s are at the bottom end of the scale in terms of wages. If you’re still interested in joining Nando’s and adding to the 8,000 members of staff they have across their 280 UK restaurants, check out nandos.co.uk/careers.